Apply now to live in blue for 2019-2020! Why choose BLUE for your Carolina experience? LIVE in UNC’s community of student innovators. LEARN by designing, making, failing, and reinventing. LEAD in the classroom, boardroom, and life. Class of 2023! Only a few spots left in our BLUE community! Apply now through the UNC MyHousing Portal. Makeathon Pitch Finale (Feb 16 from 5:45-7pm) - Support fellow student entrepreneurs and prepare for our BLUETank Competition at the end of the semester by learning from this pitch showdown. EDIPTing for Creative Solutions (Feb 21 from 7-8pm) – Practice practical steps of applying the 5 design thinking principles to the problem solving process to accelerate breakthrough solutions. Please RSVP to attend. Mission Possible (Mar 6 from 7-8:30pm) - Learn how to define and write a Value Proposition and Mission Statement for both your business idea, and yourself! Please RSVP to attend. 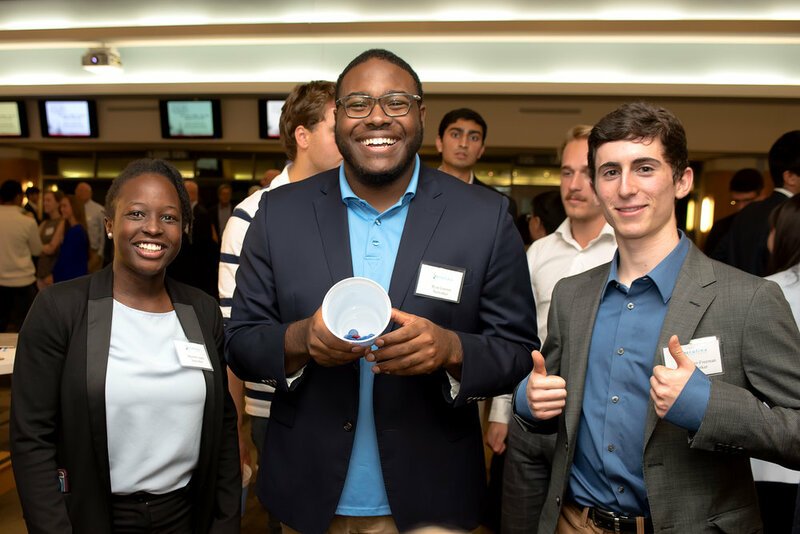 BLUE’d Up (March 26 from 6-7pm) - Network, share ideas, form teams, brainstorm solutions, and start to build your plans for prototyping at this BLUE-clusive networking event in preparation for the BLUEtank competition in April. This is your time to show off what you've learned and been working on this semester, for the chance to win prizes! As always, there’ll be food provided, please RSVP to attend. CarolinaTHINK Shark Tank Night (Mar 28 7pm) – Put your pitches to the test before our BLUETank competition and enter for the chance to win up to $100 in gift card prizes. The competition will be held at 1789 Venture Lab on March 28 at 7:00pm. Register here to participate! Curiosity Muscle: Make Curiosity your Superpower in Business & Life (Apr 3 from 7-8pm) - New York Times Bestselling author, Diana Kander, hosts an interactive session on curiosity where she’ll help you create a counterintuitive action plan to achieve your biggest goals. Diana will show you why smart and successful people have such a hard time learning from failure and why it's so important to teach yourself this valuable skill. Learn more about Diana before the talk (or order her book!) at www.DianaKander.com Please RSVP to attend. BLUEtank Practice Run & Feedback Session (Apr 10 from 7-8pm) - Practice your pitches on the ventures you’ve been working on all semester/school year and get feedback from MBA student coaches to help you refine and ace your pitch for our BLUETank Competition at BLUE on April 18th! Please RSVP to attend. BLUEtank Competition & Celebration (Apr 18 from 7-8pm) - The BLUEtank final competition is your chance to shine as you pitch the products you’ve been working on and get feedback from expert judges for the chance to win prizes! We’ll also have a celebration afterwards with lots of food and fun! Please RSVP to attend. Launch Chapel Hill Summer Fellowship - Launch Chapel Hill is piloting a summer program for students! If you’re hoping to stay in Chapel Hill this summer and looking for some funding/a way to get plugged into the Eship scene/work on building out your ideas, this is for you! Applications are being accepted on a rolling basis now, and accepted teams are awarded $5,000 per team, mentoring, office space, and programming to scale your idea! See attached flyer and email amy@launchchapelhill.com for more info. Campus Y CUBE - The CUBE 5.0 program at the Campus Y, in collaboration with Innovate Carolina and UNC Public Policy, is looking for undergraduate and graduate students interested in learning and developing social innovation and entrepreneurial skills while creating a social venture. We are looking for students with a commitment to social good to join us for 1 year of specialized programming and nurturing support, including 6 credit hours of dedicated instruction, seed funding, 1:1 mentoring, capacity building workshops, amongst other opportunities. Applications will be open from March 4th, 2019 to April 1st, 2019. If you have any questions during the process, please reach out to the Social Innovations Initiative Coordinator, Jaki Bonilla, at sbonilla@email.unc.edu. We will also be available for office hours upon request to address any questions about your challenge/issue statement or the application. Click here to go to the application. *Interested faculty and staff should also reach out directly to Jaki Bonilla. If you would like to extend an internship opportunity, please email eship@kenan-flagler.unc.edu. Would you like to reserve BLUE for your event? If so, please email Aspyn Fulcher at aspyn_fulcher@kenan-flagler.unc.edu. 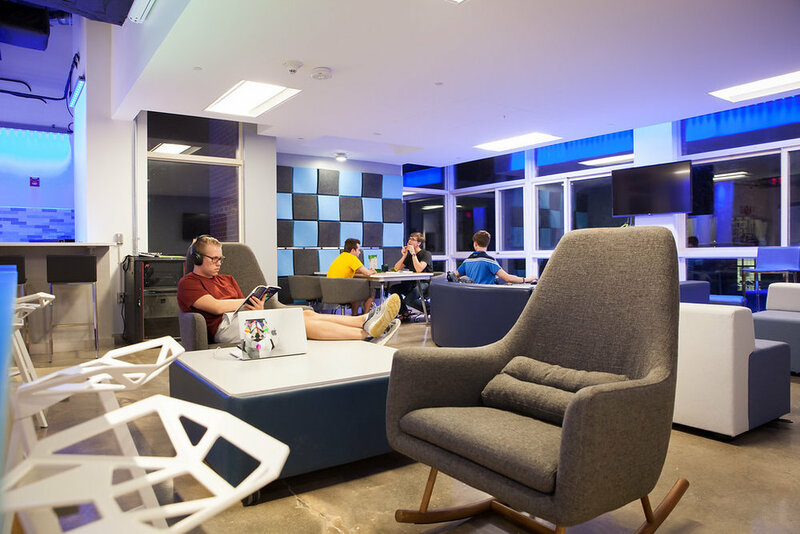 BLUE is a combination of a Makerspace, complete with 3D printers, vinyl cutters, and embroidery machines, and collaboration space. If you would like to learn more about the programs that take place in the space, or learn more about the space in general, take a look at the ABOUT section of our website! Want to connect with the team behind it all? Find us on LinkedIn by clicking on our names!